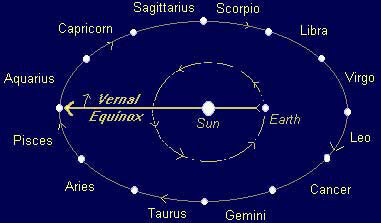 According to the Initiates of the Wisdom School Traditions of the East and West, the Vernal Equinox is one of the four great seasonal festivals marking moments when the activity of the Sun, the sustainer of all life, is at its peak. 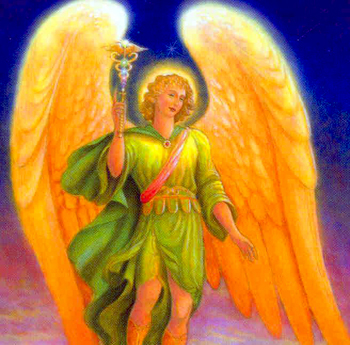 The Feast of Archangel Raphael, who is the Guide and Protector of new plant growth and of human healers, and who presides over the Spring Season, occurs at approximately the same time as the Equinox. In 2016, the Equinox is on March 20, and the Feast of Archangel Raphael occurs on March 23, when Universal Life Force Energy on planet Earth takes on the frequency of growth and healing symbolized by the March Full Moon’s appearance in the sign of Libra, the astrological sign of dynamic equilibrium. Currents of Cosmic energy are set in motion at the time of these great festivals that stream forth from the Sun and from other sources in the Cosmos to rain down upon the Earth, triggering transformation and growth in mineral, vegetable, animal and human realms of existence. Initiates tell us that if human beings are conscious of the transmission of these powerful energies, there are techniques they can utilize to harness these energies to accelerate their spiritual evolution, improve their mental acuity, and promote health and healing. The name Raphael means “God cures” and Raphael is the Archangel of both healing and vegetation, who dwells in the sphere of Mercury. It is no coincidence that the Archangel of healing also presides over the development of the healing herbs that have provided human beings with the core of their medical practices around the world, from prehistoric times to the present. It is no coincidence that the ancient spring Hindu festival of Holi is a fertility festival, which involves the burning of wheat and oats in a sacrificial fire, and also the use of colored powders composed of medicinal herbs. The Wisdom Schools of the East are the most ancient on Earth, and their practices are the gold standard by which other, later schools are measured. At the time of the Vernal Equinox, Raphael’s hosts, including angels, but especially the devas, elementals and nature spirits entrusted with the growth of vegetation, spring into action, surrounding the dormant vegetation covering the surface of the Earth, and eventually, entering into the Earth itself, bearing the Cosmic Forces that have been transmitted from the Sun and from other Stellar sources. These spirits of vegetation impart this energy into the Earth, and their activity actually draws plants upward into the air, pulling those energies and forces that which have been residing deep within the Earth during the long months of winter into plain sight, in the form of stalks, buds and blossoms. Raphael’s hosts hover unceasingly around the growing vegetation, coaxing it upwards, providing each plant with the precise geometrical form and biological structure required for optimum evolution. If you wish to connect to the nature spirits, and to Raphael, during this momentous Spring Festival season, there are a number of ways you can perform this sacred activity. First, you can meditate upon the forms of nature. Take a walk through a nearby garden or woods, and then sit down quietly and close your eyes. Call upon Archangel Raphael, and ask Raphael to disclose to you the secrets of the world of plants, and to inform you of the healing qualities of plants you need to improve your own health, or the health of a loved one or neighbor. Visualize some seed with which you are familiar, the seed of a plant that sprouts in the spring, a plant you have grown or seen in your neighborhood throughout the seasonal cycles of the year. Then visualize a tiny sprout springing forth from that seed, so deep within the earth, surrounded by a vibration similar to a swirling fog seen upon the water at dawn. See the stalk of the plant being pulled up through the earth as this vibrating fog surrounds and nourishes the plant’s growth. Visualize the stalk breaking through the earth’s surface, and see the increased vibratory rate of the spiritual beings surrounding the plant, perhaps akin to the glow seen around growing plants in high sun in summertime. Imagine that the spirits within the earth and surrounding the plant contain the perfected form of the adult plant you are visualizing. See that perfected form floating in the ethers surrounding the young corn stalk, entering into that corn stalk and informing it of its evolutionary goal. See the forces of rain and sun, moon and earth, entering into the plant’s evolution, as the vibrating nature spirits above and below ground facilitate the passage of these vital energies into the plant’s physical form. Now visualize the plant growing into its beautiful fully-formed glory, and the flower and fruit of the plant itself, the final stage of the plant’s evolution, emerging into the air. See the plant surrounded by other similar plants, and imagine a field of such plants connected by a vibrating field of energy of a similar color and texture, creating a kind of group plant spirit, which presides over the area where these plants are growing. See that plant spirit connected to an overarching field of highly charged energy that connects the area to the springs nearby, the underground streams that flow unseen below the rising plant life, the trees and weeds and shrubs in hedgerows and woods nearby, the insects of the air, and the worms of the earth, all being directed by the presiding nature spirit of that place to work in harmony with the rapidly vibrating nature spirits under Raphael’s guidance, to consummate the growth and evolution of that one particular plant you are visualizing. Visualize the full cycle of growth from emergent sprout to autumn’s seed gift for the next generation of plantlife. Finally, visualize Raphael himself, in the extremely high-frequency sphere of Mercury, or Hermes, Lord of Wisdom and of Healing. Raphael is associated with the Heart Chakra, and his aura and his color is emerald green. Connect your heart with Raphael, and develop a strong feeling of gratitude to Raphael and his hosts for their work in furthering the evolution of the vegetation, the buds, blossoms and beautiful flowers that cover the Earth during springtime. Autumn Crocus, courtesy of CyberBotanicaLet the energy of your chosen plant or flower fill your heart and know that Raphael and his hosts wish for your heart to be full of the Divine Love that motivates and directs their every action. The task of springtime is to open the heart. Ask Raphael to help you with healing the wounds within your own heart and to help to heal the wounded heart of the world. Ask Raphael to guide you to golden opportunities to heal yourself and others during this season of resurrection and new life. If you wish, you can take some seeds you have saved from last year’s plantings, or some seeds you obtain in other ways, and make an offering to Raphael and his hosts. Get up at dawn. Go out and visit with the sun. Breathe in the sun’s energies for at dawn during springtime the sun delivers much more Universal Life Force Energy or “prana” than at any other time of year or day. Do this for several minutes. Finally, scatter your seeds with a feeling of gratitude. You may do this every day for a week for best results, but performing this ritual even once will enliven your spirit, strengthen your body, quicken your mind, and open your heart. We recommend this ritual to prepare Lightworkers to deal with the opportunities and difficulties that lie ahead during the upcoming seasons and years of global crisis and global transformation.